Missing teeth negatively affect your life in a number of ways, preventing you from speaking clearly, smiling confidently, and enjoying many of the foods you love. Fortunately, modern restorative dentistry offers a wide variety of tooth replacement options, including dentures and partials. At Boston Smile Center in Brookline, MA, Dr. Alan Sasson and his staff are happy to provide patients with the restorative solutions they need to enjoy life to the fullest once again, despite suffering from missing teeth. 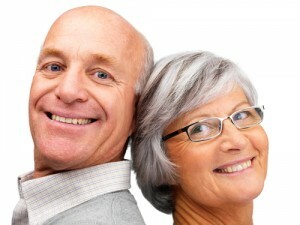 Dentures, Partials, and Dental Implants: Which is Right for You? Dentures are natural-looking, customized dental prosthetics that replace missing teeth so that a patient may eat, speak, and smile more comfortably. Today’s dental technology makes it possible to fabricate dentures and partials in a way that looks and feels more like natural teeth than ever before, but the prosthetics are still removable for comfort, cleaning, and adjustment as needed. 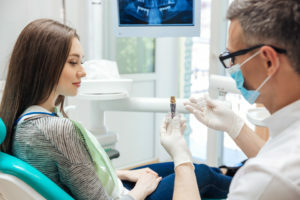 A comprehensive consultation with Dr. Sasson will determine which restorative dentistry solution is the ideal fit for your unique situation. While some patients prefer the structural stability of dental implants, not every patient with missing teeth is a fitting candidate. When you arrive for your consultation, we’ll take the time to discuss your various options, as well as assess your jaw, gums, and existing teeth. You may be able to undergo a surgical procedure that allows for implant-retained dentures, in which dental implants are placed within the jaw and then used as anchors to secure a dental prosthetic. We welcome you to contact our office to schedule your appointment with Dr. Sasson and our experienced, knowledgeable team today. Our conveniently located practice in Brookline, MA warmly welcomes families from throughout the surrounding areas, including Cambridge, Somerville, Newton, Chelsea, and more. We look forward to seeing your beautiful smile! In our last blog post, we discussed the benefits of pursuing dentures or partials to cover up embarrassing gaps in your smile. But what if you’re looking for a more secure solution? While dentures usually stay in place with either clips or natural suction, they can sometimes slip when eating or speaking, which could lead to embarrassing situations. 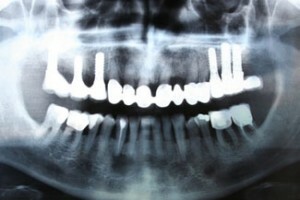 In addition, there’s one issue that dentures or partials won’t be able to solve: bone loss in your jaw. At Boston Smile Center in Brookline, MA, your specific needs are important to us, and that’s why, in place of traditional dentures and partials, Dr. Sasson can now offer you implant-supported dentures, a new procedure that will be sure to put a smile on your face. 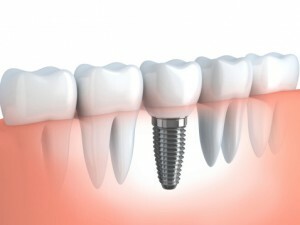 Dental implants are small titanium posts that are anchored to your jawbone. After a brief surgery where they’ll be put into place, your dentures will be attached to them, resulting in a firm and comfortable fit. The surgically placed implants will allows remaining bone in the gums to survive, and they can even help new bone tissue to grow. Many of the pressure points traditional dentures rub against are relieved. Barely any food choices will be off-limits. You won’t have to feel embarrassed about your denture slipping while speaking or eating. You can live life worry-free! Do implant-supported dentures sound like the right choice for you? 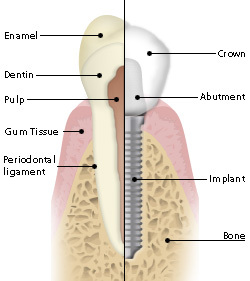 You can learn more about dental implants here, and feel free to peruse our website for more information about the other restorative dentistry techniques we can offer you. Feel free to call Boston Smile Center in Brookline, MA if you have any questions, or if you’re ready to schedule your FREE consultation with Dr. Sasson today.